Security is enhanced and guaranteed via infra-red and CCTV systems and with a 24 hours operational front desk guest get assistance on time, thus making there stay smooth and enjoyable. The hotel prides in having a spacious well stocked bar stretching to balcony where guest can unwind after a busy day. Breakfast is full English animated and fused with fresh Kenyan organic foods served at our equally spacious and magnificent restaurant which also serves ala-carte menu comprising fusion of various cuisines carefully complied and done to precision by our qualified chefs for that sumptuous and healthy meal. 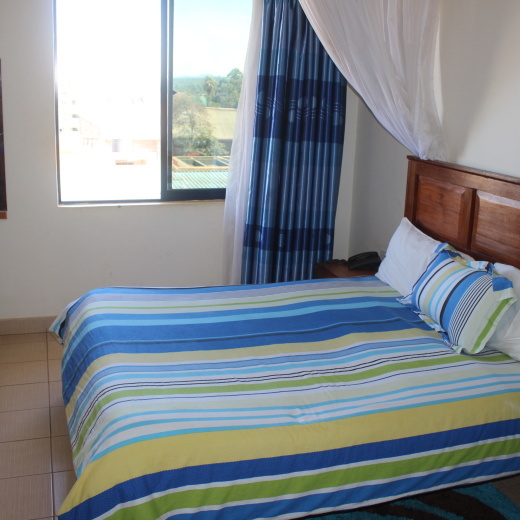 With a basement parking and state of the art conference facility complimented by laundry services, the hotel is truly the No.1 budget hotel in Meru.